My name is Ben and I am the creator of Box of Favours. What is a Box of Favours!? A Box of Favours is more than just a gift. It’s a gesture of love and friendship, a promise to spend time with someone special to show them how much you care about them. Each box has been beautifully designed with gold foil stamping on the top and bottom. When you open the box the first thing you will find is an envelope with a contract inside. This is to be signed by the gifter and is a promise to fulfil the favours within. Under the contract you will find 15 favour cards with gold stamped borders, held in place by black velvet covered foam. 10 of these cards contain set favours and 5 are left blank for your imagination. Everyone needs a favour now and again and what better way to show someone how much you care about them than to give them a box of favours? 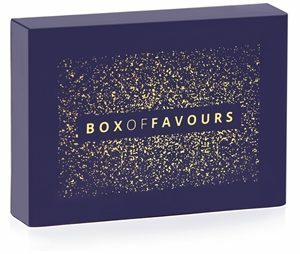 I am looking for influencers/bloggers to help promote Box of Favours before we officially launch the product in September. I’m looking for people to review the product and try it out for themselves. Ideally, I would like influential bloggers to review the product and get into the spirit of Box of Favours. I have a few boxes to giveaway and would love a blogger or two to help me promote the product and to have some fun with it.